Baldy Mesa is an unincorporated community in the Victor Valley of the Mojave Desert, within San Bernardino County, California. 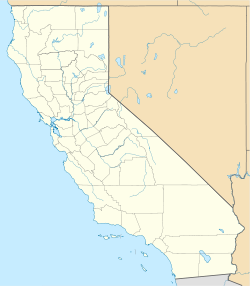 Baldy Mesa is located west of the cities of Hesperia and Victorville, and northeast of the unincorporated community of Phelan in San Bernardino County, California. The coordinates are 34.459N, −117.45W, the elevation is 3,488 feet, and it is in the Pacific Time Zone (UTC-8; UTC-7 in the summer). It is a rural desert community situated in the Mojave Desert, just north of the Cajon Pass and the San Gabriel Mountains. It is about 53 miles (85 km) from Los Angeles, and about 26 miles (42 km) from San Bernardino. Baldy Mesa has a high desert climate with hot dry summers and generally cold and wet winters. The area experiences intense rain and occasional snow in the winter months. Spring and autumn see more mild temperatures. Winds in the area can be strong as a result of the Santa Ana winds in the autumn months. ^ U.S. Geological Survey Geographic Names Information System: Baldy Mesa, California. Retrieved on 2008-07-10. ^ "Baldy Mesa CA". ZIP Code Lookup. Archived from the original on 2011-06-15. Retrieved 2008-07-10. ^ "Baldy Mesa Populated Place Profile / San Bernardino County, California Data". California.HomeTownLocator.com. Retrieved January 21, 2018. ^ "Baldy Mesa, CA - Baldy Mesa, California Map & Directions - MapQuest". www.MapQuest.com. Retrieved January 21, 2018. ^ "Google Maps". Google Maps. Retrieved January 21, 2018. This page was last edited on 22 January 2018, at 01:17 (UTC).